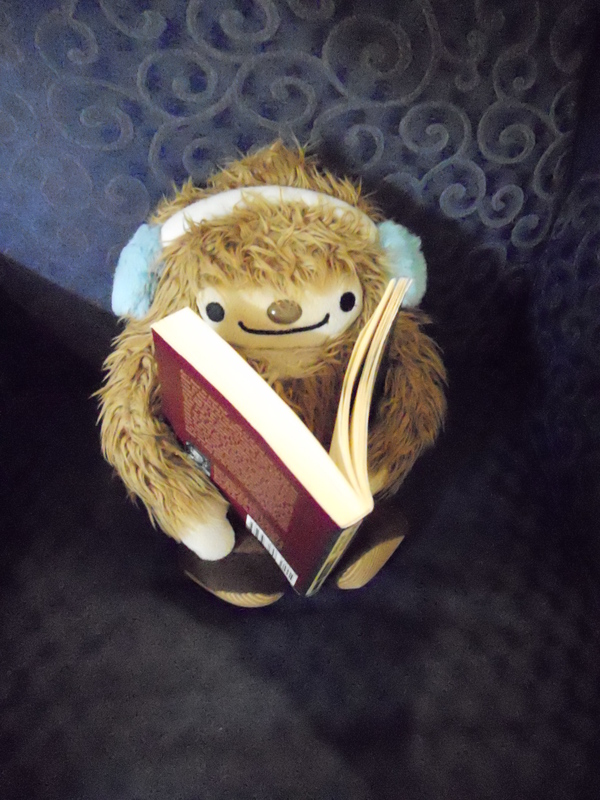 Quatchifan2010's Blog – We are still here!!! We here at the Quatchifan2010.wordpress.com blog has ran out of space so we have continued out adventures on another blog called, “https://quatchifan2010part2.wordpress.com&#8221; please go here for more adventures about the magnificent 7 Quatchi family members who are here in Saudi Arabia. Thank you so much for thinking of us, love Sophia and the Q clan! Sophia and her husband has been on holiday finally! It is so nice to be around North Vancouver. 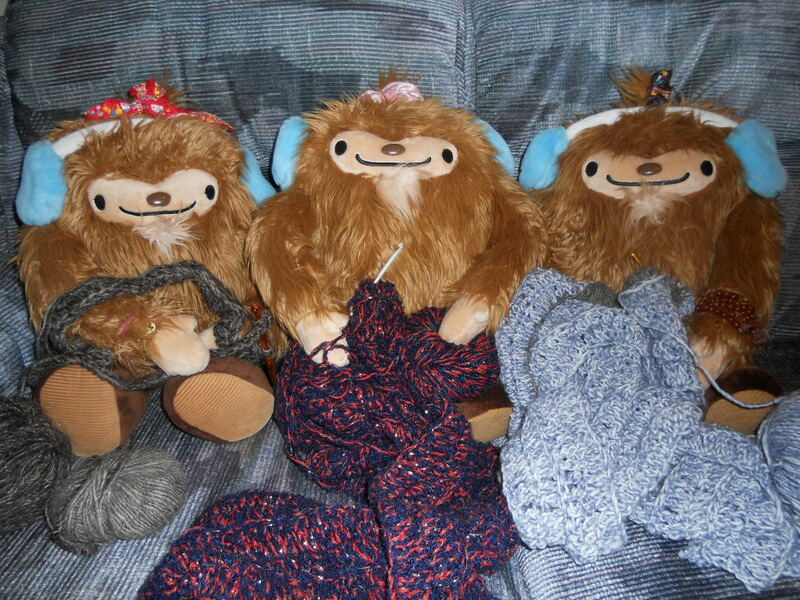 She has been taking the Quatchis one by one along with Humphrey around. The best thing is the food and nature! members wanted was BACON!!!!!LOL. This was maple leaf maple flavored bacon cooked in a classic cast iron pan!! OMG! It was AMAZING! 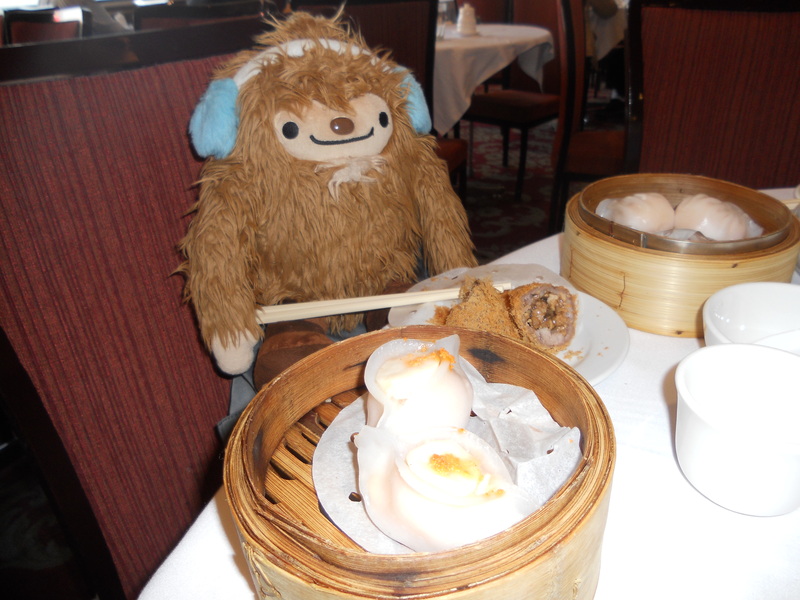 Last, but not least, we cannot forget to eat Dim Sum! 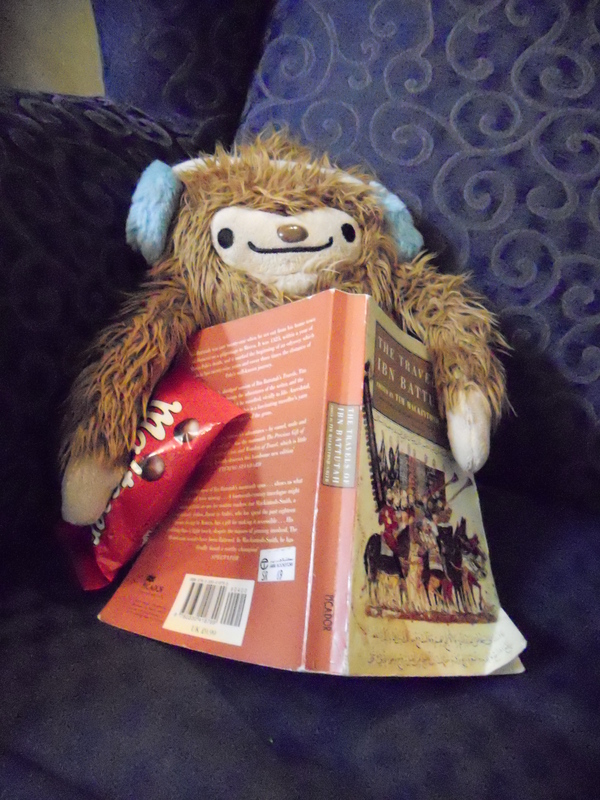 Quatchmas was the lucky one and he enjoyed every single minute of it. He is at the Pink Pearl Restaurant. If you have time please go there. Hey, you know that things are pretty hot here so we stay inside a lot. So, having time on our hands we are make a few paper things.There is some news that a Wonder Woman movie may be made! 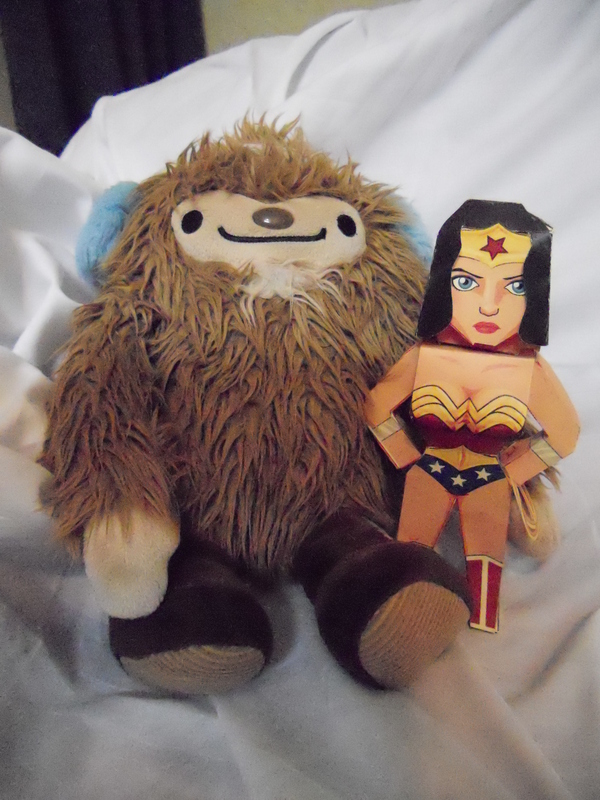 Quatchmas got excited and made a Wonder Woman tribute for himself. 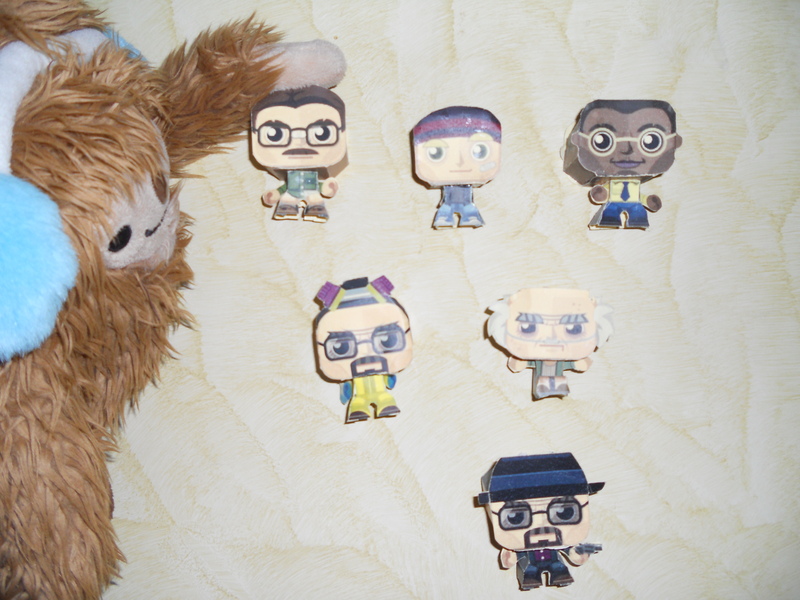 Quatchyear is a big fan so Breaking bad so he made some paper toys of Hisenberg, Walter, Mr Frigg, and the bad guy in the wheel chair. 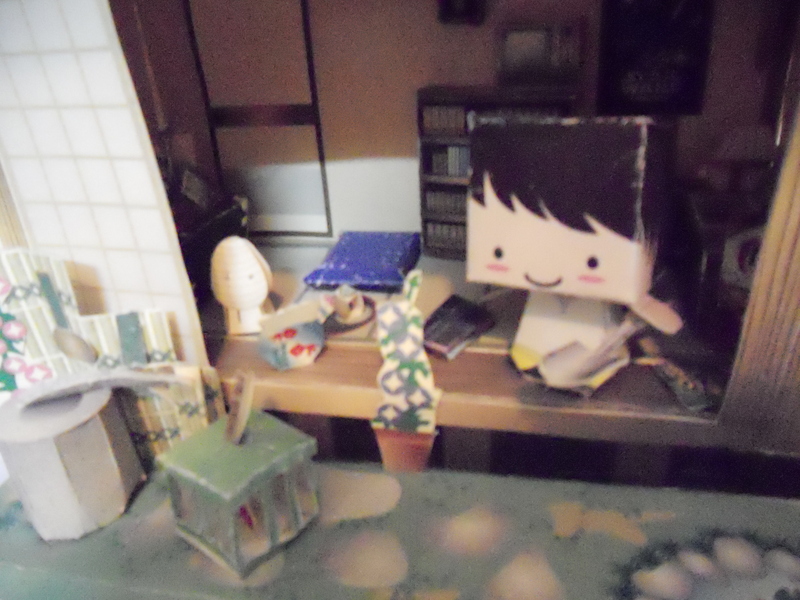 He is just sticking it on the wall for decoration. 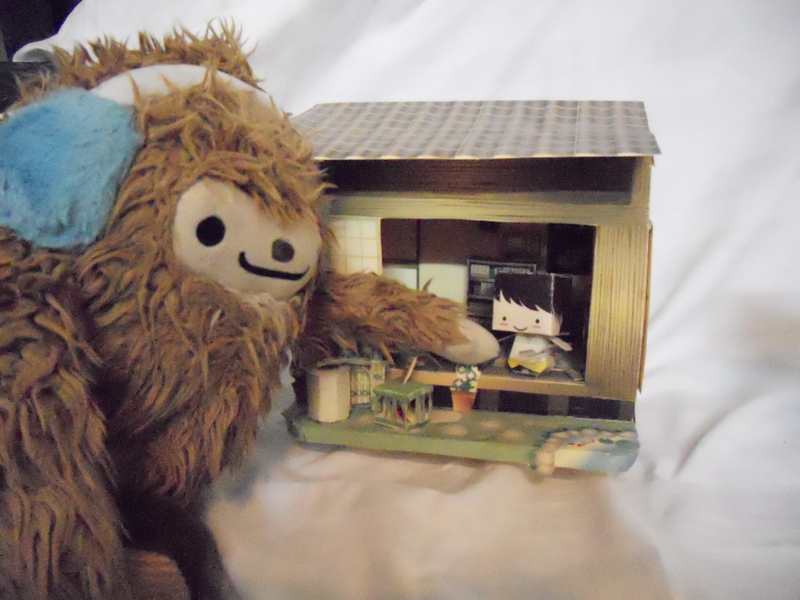 As for the Quatchiken he is dreaming of his dream man cave. 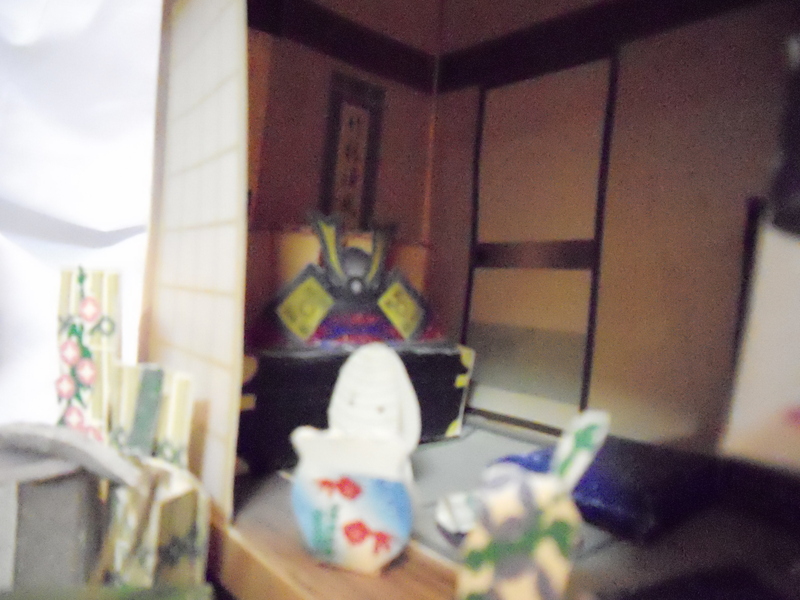 In it he has a Samurai Hat, A Star Wars poster, two lightsabers, a microwave, computer, desk, books, and a water fountain outside, and a stag beetle in a cage! Here are some of the inside pictures! Last, but not least, there is a wonderful new member added to the clan. 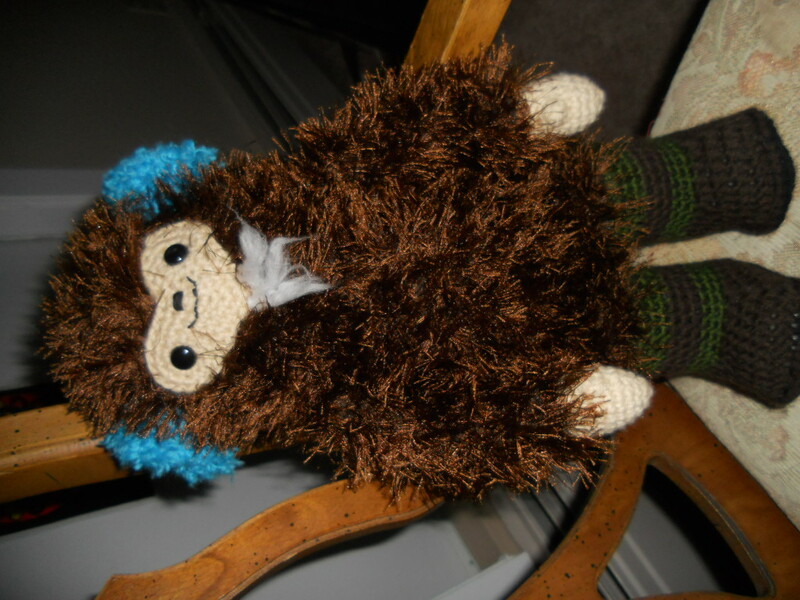 When Quatchiken was alone here Sophia got him a friend. His name is Humphrey. Did you know that Camels are 250,000US to buy each and that they come in brown, white, black and of course camel colored. LOL. 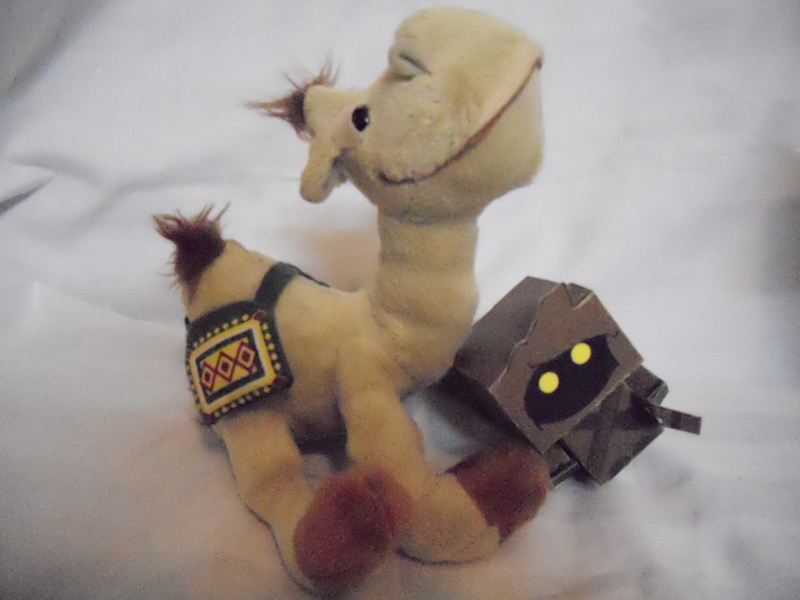 Also, they have a very good memory, so if you treat a camel bad they will remember and take revenge! He just got into the Star Wars series. Before then, he did not know anything about it. As you know the Q clan love all Star Wars, Star Trek, and Dune movies. 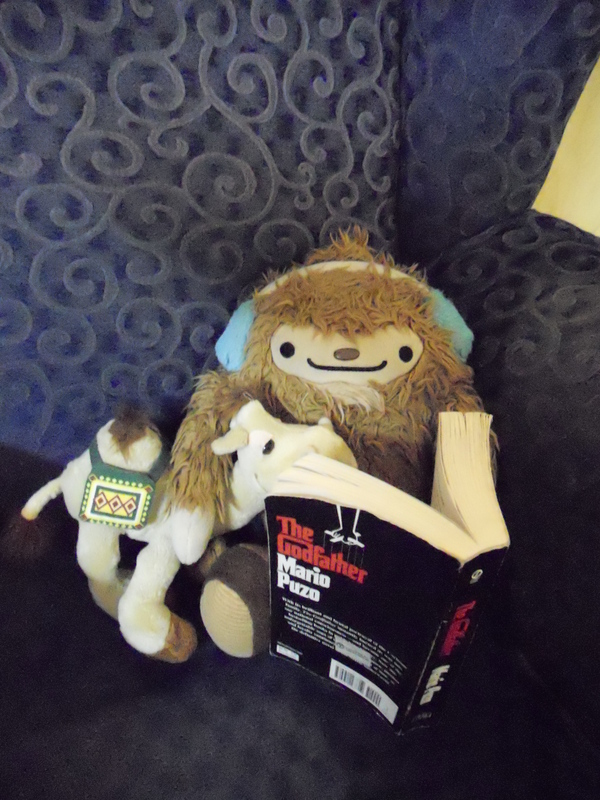 Humphrey liked the Jawa because it reminds him of all of the women with their Abayas around here. LOL. We are back! We had to separate because our parents went back to teaching ESL. They are now in the Kingdom of Saudi Arabia and we have paired down to three. When we have a family reunion it will be big. We have been growing and now we are a clan of 35!!! Before we were able to to come we had to give a few things up. A few things went into the garage sale like all of our accessories, most of the clothing and some other props. We will miss all of that but they all went to a lot of little boys and girls Build-A-Bear familiy members. Right now, we are in Riyadh. We have been here for awhile, but with all of the heat, we do not go out. Besides, with the air conditioner on at home is it heavenly. We have a lot of fur you know. Here we are enjoying a Pepperoni Pizza! IT IS AMAZING! Oh, they also opened a Tim Hortons here in Hyatt Mall!!!! 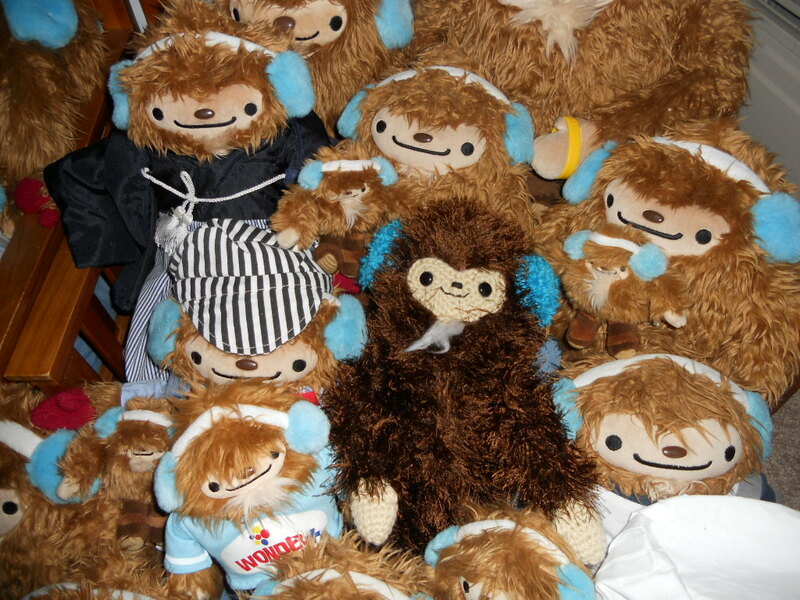 Love you all, Quatchiken (I am telling the story) and my two brothers Quatchyear and Quatchmas. We here at the Quatchifan2010 blog have decided to retire for the time being. The Q clan and I have enjoyed our wonderful time here showing off the daily life of the Q clan, but due to a move up north where the access to internet is very limited we will have to take a break and end the blog. Maybe, in the future, the Q clan will start up again, but for now, there will be no more posts. We will miss everyone, but please visit Quatch Watch. Sammers, Q and Mins are still going strong and you can get your Quatchi fix there. Thank you everyone for sharing our adventures with us! 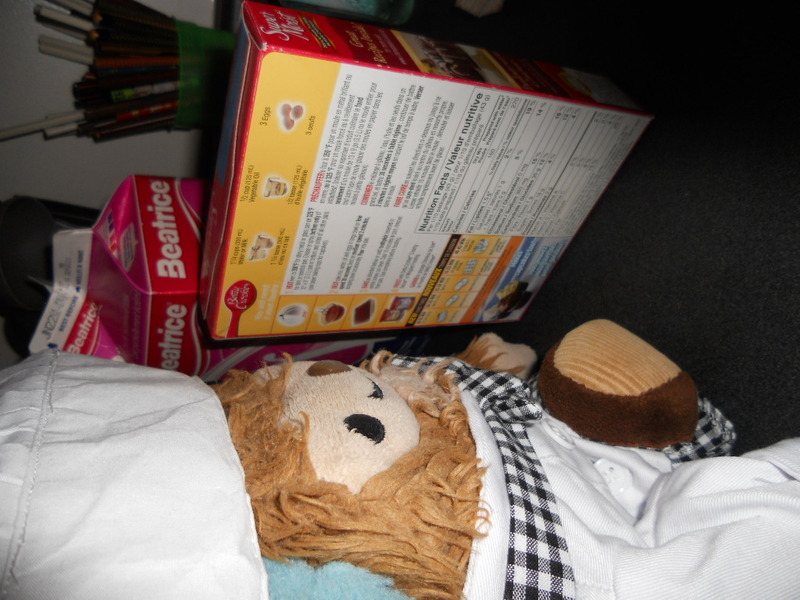 Quatchi wants to make sure that everything is perfect. 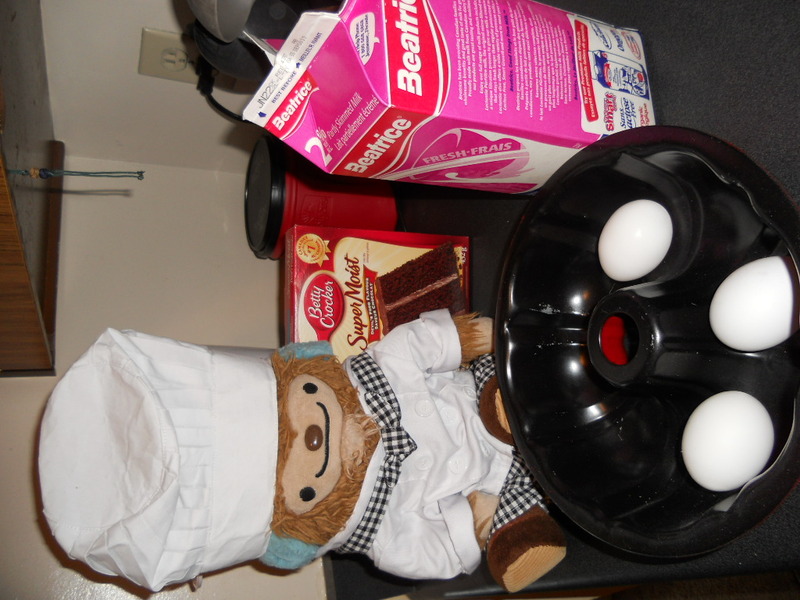 He isn’t sure that he can make things from scratch like Q and Mins from Quatch Watch so he is going to get some help from Betty Crocker. LOL. 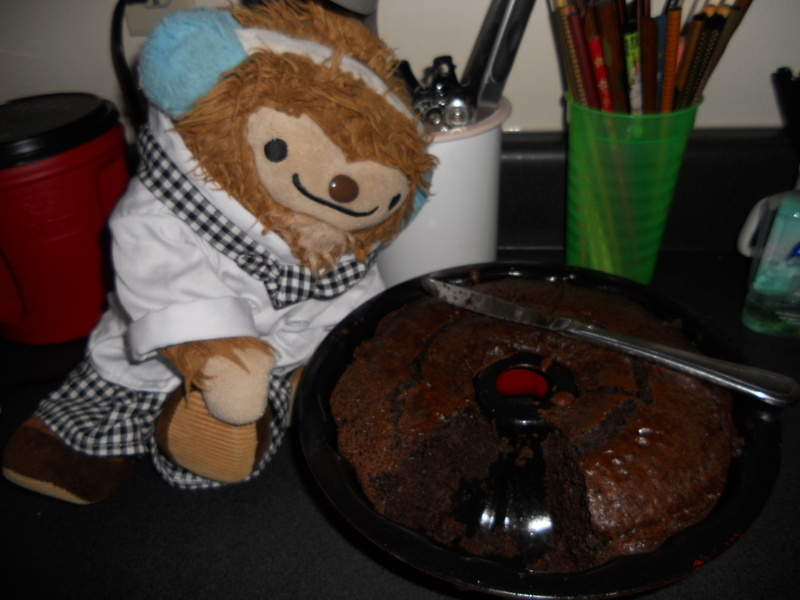 He is a bit of a chocoholic so he picked the Devil’s food cake. Now he just has to check to see if he has all the ingredients. 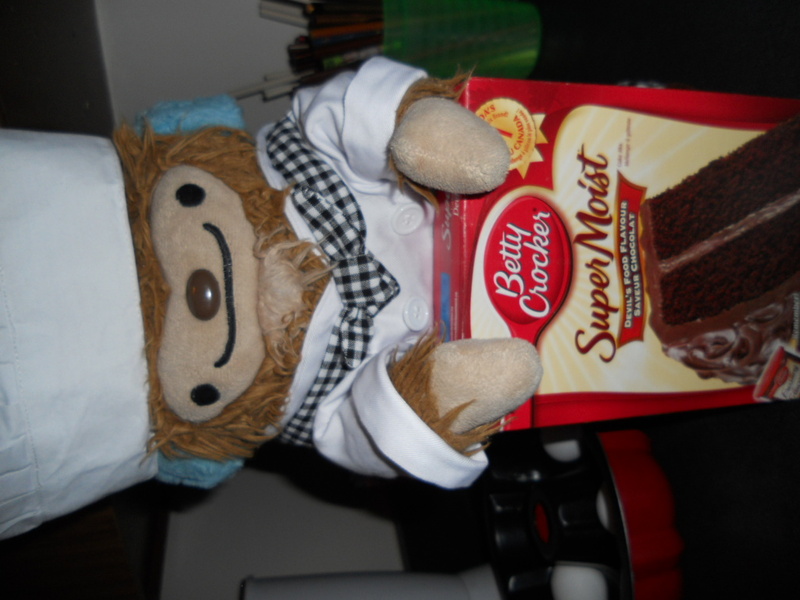 After 15 mintues of preparation and pre-heating the oven, Chef Quatchi has decided to go and bake the cake. This is the result. 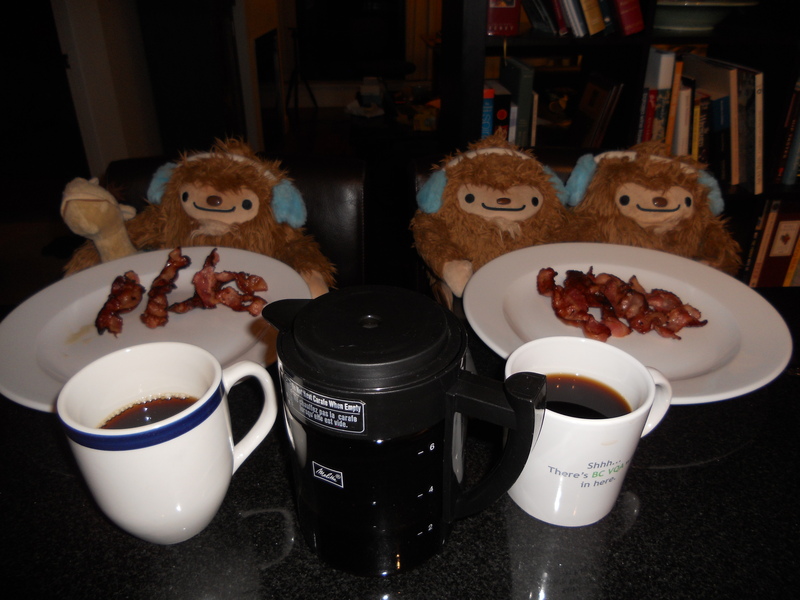 Of course Quatchi had to make sure that everything was okay and try it first. It was DELICIOUS! Now he can present it to the rest of the clan!